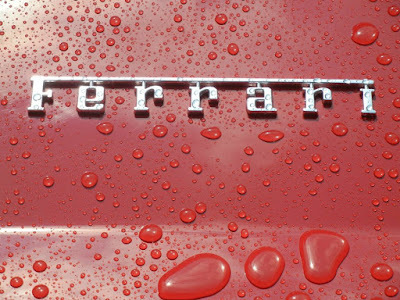 Classic Ferrari badge, even in the rain! 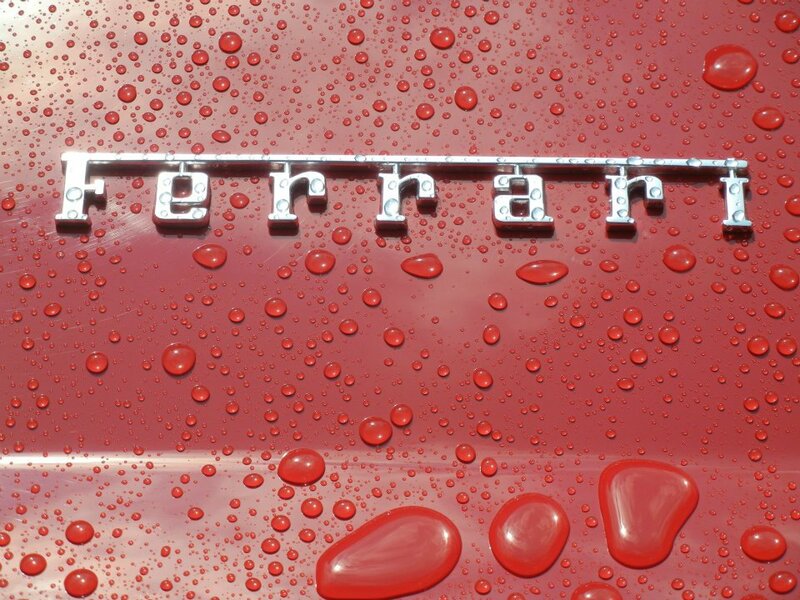 February 18th marks the birthday of Ferrari founder Enzo Ferrari, so happy birthday Signore Ferrari! 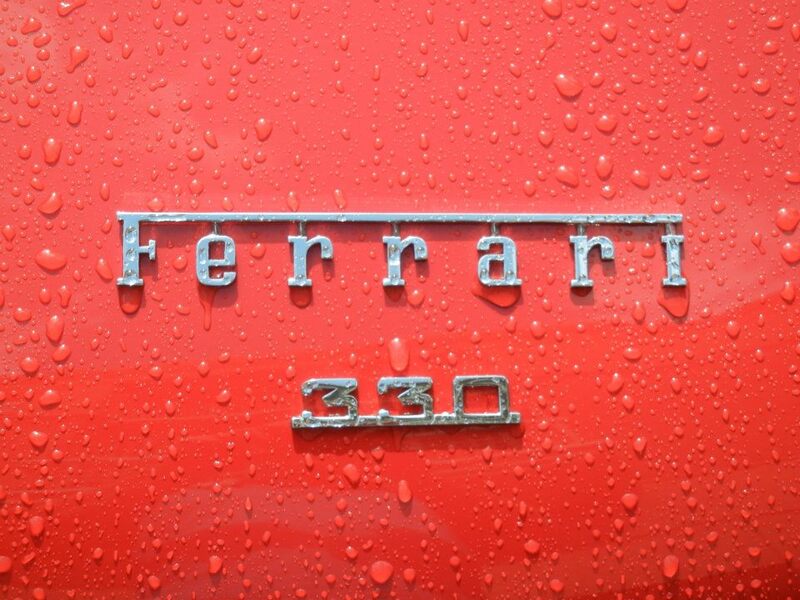 Though Enzo is no longer with us, his son Piero still works at Ferrari in Italy, and certainly the Ferrari family name ranks near the top of any list of most famous automakers. 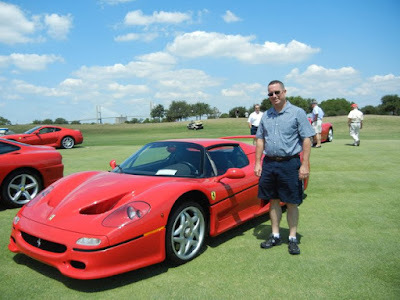 Piero is the Vice Chairman of Ferrari SpA, and owns 10% of the company. 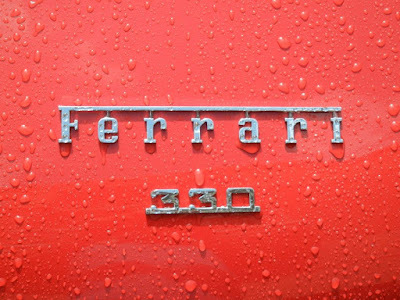 Thanks to the IPO spin-off of Ferrari from FIAT, you can now buy Ferrari stock, just look for the US stock symbol RACE. 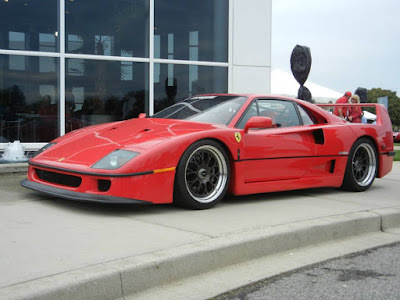 In other car companies, there really were people with names like Lamborghini, Mercedes, Ford, Chevrolet, and Chrysler, and they also each played a role in building the auto industry and the cars that we still have today. But, odds are that a survey of just about anyone on what car would they own if they could afford would come up with the answer Ferrari more often than those other marks. 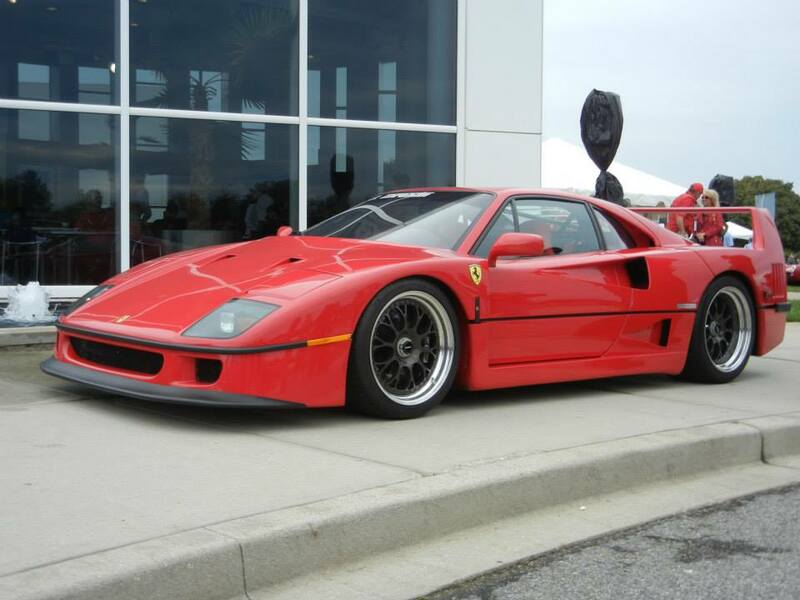 Here's just a short look at some of the Ferrari cars we've spotted over the past few years, in settings from car shows to every day use. 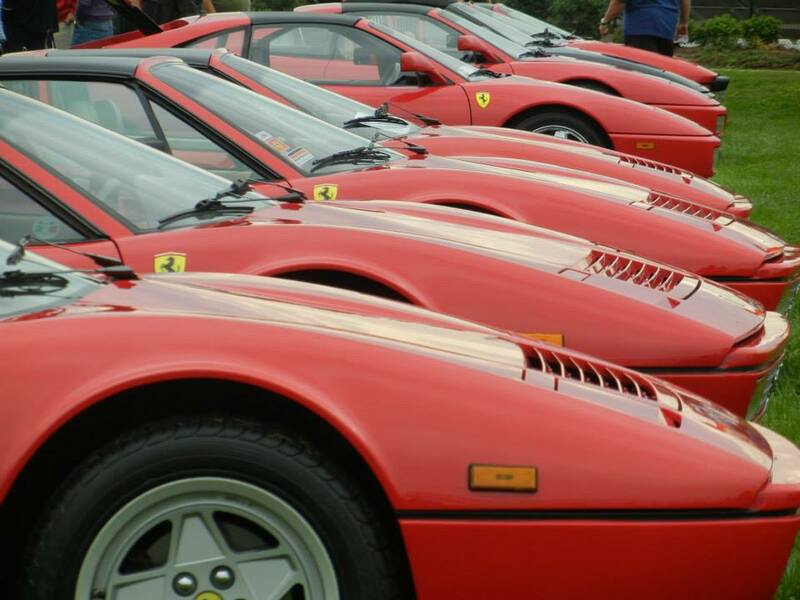 V8 Ferrari 308s and 328s, one black one way back there!